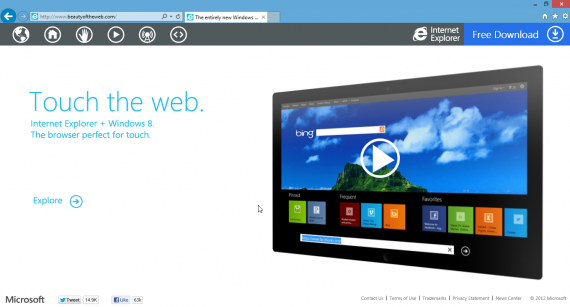 The Redmond based company announced last month that they will release IE 10 for Windows 7 users sometime in November. And in a press event at Beijing, China, Roger Capriotti, the Director of Product Marketing for Internet Explorer announced that Windows 7 users will get a taste of IE 10 with the preview build scheduled for release tomorrow. Internet Explorer 10 has already drawn in rave reviews as being the best browser on Windows 8 in terms of speed and security with the Do Not Track feature, HTML5 Sandbox and the built-in Flash which also helps improves the performance of the browser. We are unsure when the final version will be released, but let’s keep our hands crossed that it will be out before the New Year.